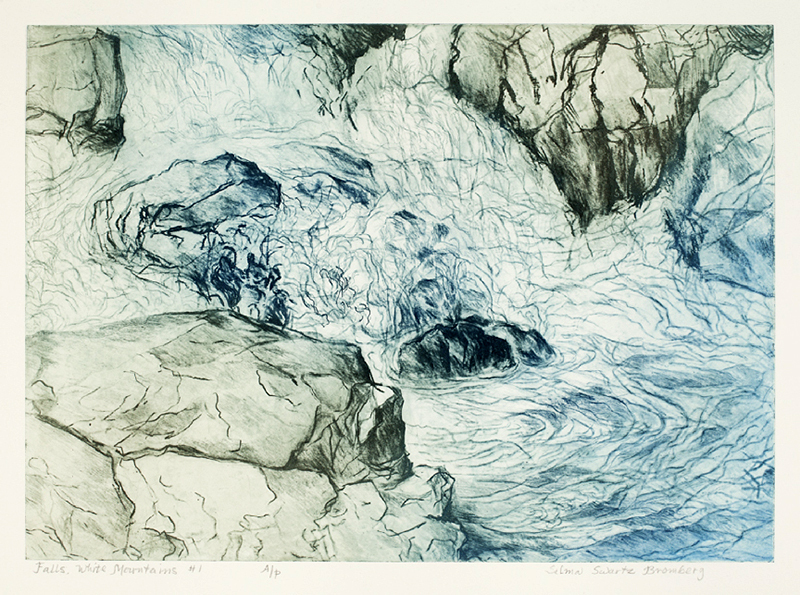 My work is inspired by the rugged beauty and fragility of nature. I am attracted to the dramatic play of light and shadow on rocky cliffs, the swirling patterns of rushing waterfalls and the translucent colors in partially frozen ice along the river’s edge. Back in my studio, I am influenced by the sensitivity and directness of Japanese and Chinese paintings. I often make etchings of the flowers for each season by observing the patterns they make in my garden. 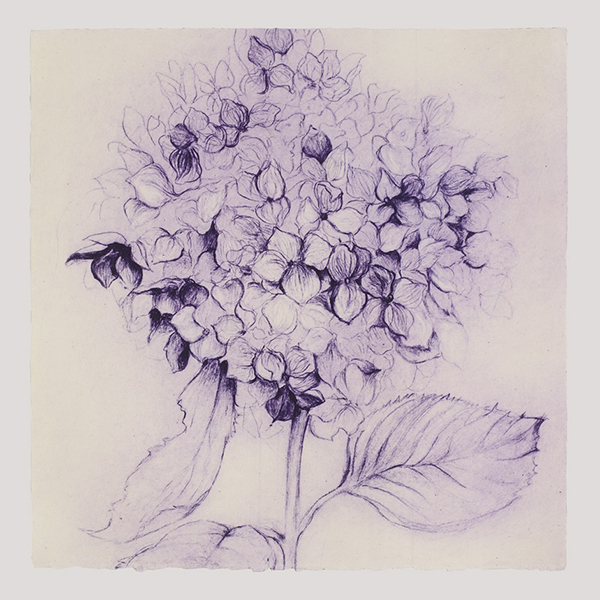 In the winter I draw from potted flowering plants in my studio. I cut bold lines and rugged forms into my woodblocks. 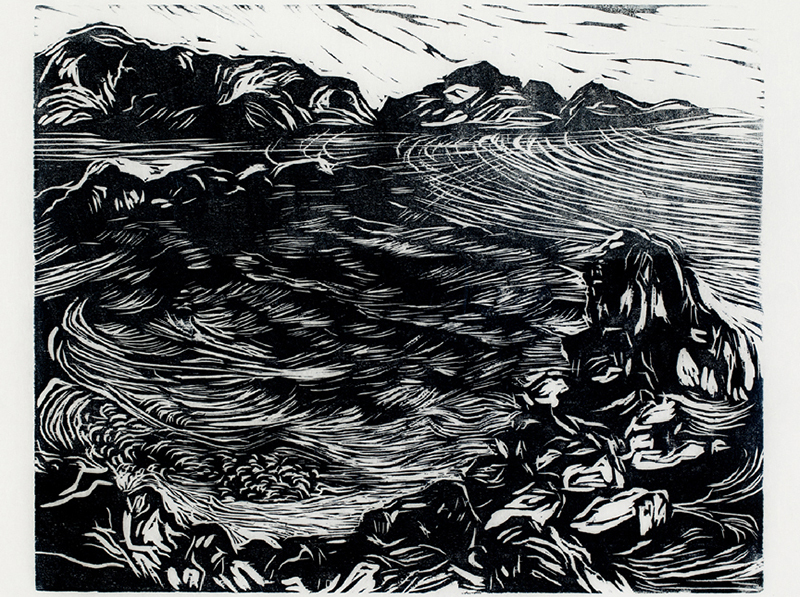 I print my woodcuts in one color to convey either stark stillness or intense movement in the landscape. 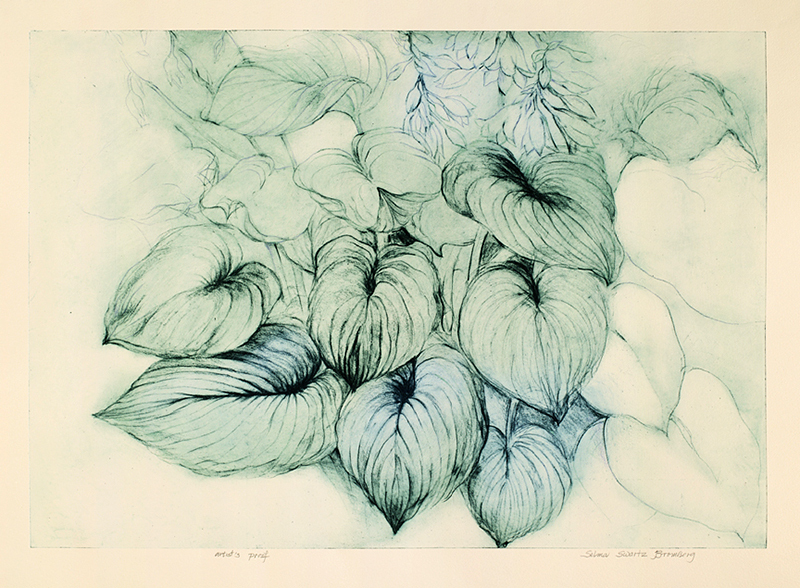 My prints are monochromatic; I do not want the distraction of color to diffuse the forms. 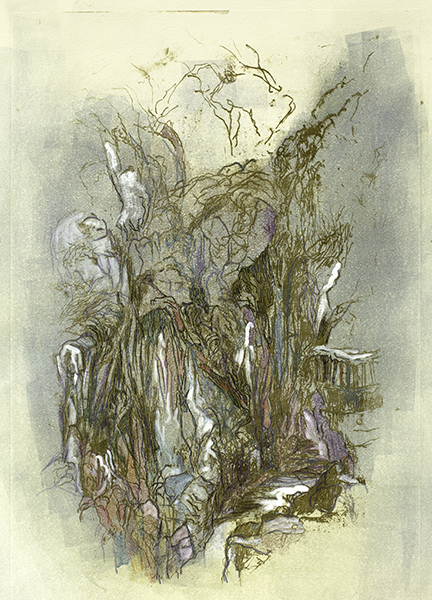 Conversely, my monotypes feature layers of translucent color, elusive light on surfaces, and undulating lines. 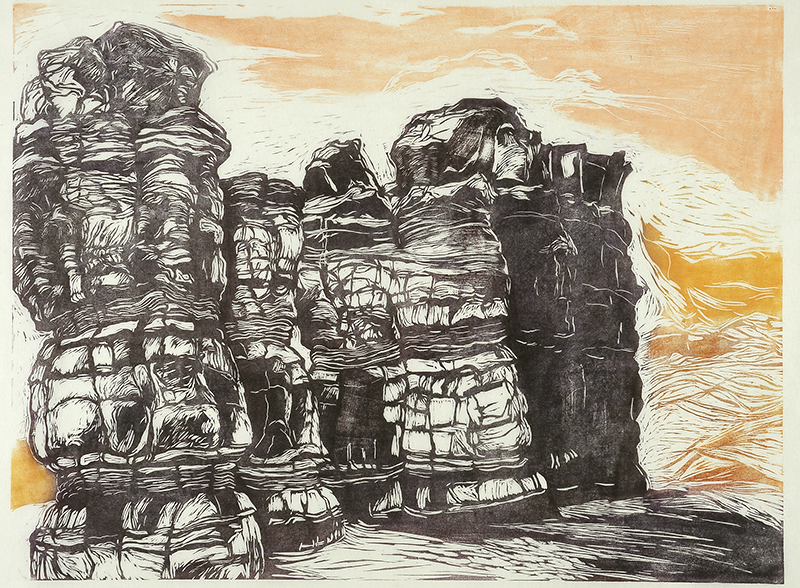 Both woodblock and monotype reveal my strong interest in the variety of changing textures and patterns in nature. I am constantly trying new techniques and am currently working with solar plate etchings. I use a variety of inks and tools to discover more ways of expressing myself through printmaking.